If you have a Facebook account, be sure to "like" our Facebook page! First, please tell us where you live? (do not post specific addresses! Give us a general idea, as it helps for potential carpool purposes! What type of THOG events are you interested in participating in? (ie hiking, backpacking, camping, cycling, paddling, skiing, snowshoeing, nature photography, geocaching, etc)? What is your hiking level? What are your expectations from joining THOG? What do you hope to gain from THOG membership? 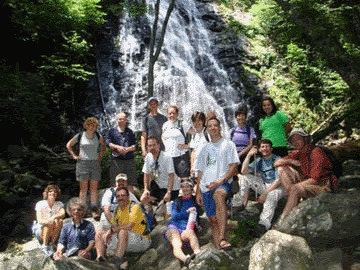 Triangle Hiking and Outdoors Group: We are one of the largest hiking and outdoor adventurers group in the Triangle area. Our mission is to introduce members to the wonderful outdoor recreational opportunities in the area! By joining THOG you are agreeing to our Membership Code of Conduct and the Trip Participant Waiver of Liability (updated December 30, 2015).